Recently, I've had many corporate clients seeking training for job interviews. At the same time I've had an influx of actors looking for audition coaching. Over the years it's become apparent that these worlds aren't so different and each party could benefit from learning a thing or two from the other. I therefore formulated the top 10 interview tips for corporate folk. These types of lists are admittedly not hard to find all over the internet. However, there isn't one written by someone in the entertainment industry. It has been my good fortune to be an actor and theatre director, and as such to experience the weird process of the theatrical audition from both sides of the table. On one side the director and producer, desperate to find their perfect Romeo or Juliet, but bored or tired after umpteen candidates who just don’t fit the bill. Talent isn’t always the highest thing on their agenda, though it goes without saying it’s usually necessary. On the other side, the aspiring thesp, feeling insecure and ugly and too tall or short, wondering if this will be their first successful interview after months of failure and wishing the auditions weren’t running late as they need to get back to the day job before anyone notices they’ve gone! This doesn’t of course apply to all castings. What being on both sides of the table, particularly the “employers’ side”, has taught me is what makes a good interview. More experienced actors, or those who simply seemed blessed with charisma or grace seem to deal so much better with the process than others. Wearing my other hat as a coach to business executives, it has struck me how much everyone can learn from the way a professional actor learns to deal with the stresses of an interview situation. I can sum all of this up in one simple sentence – don’t be afraid to communicate properly! Sound obvious? Well, because of the myriad of methods we now have of communicating, we’ve lost touch with the magic of making an impression in person. However, it’s a skill actors have had to retain. 1. Find the right job. This sounds obvious, but directors are generally pretty pissed off if an actor walks through the door and they don’t look like their photograph. Sometimes that’s not an actor’s fault – poor or over-pushy agents have been known to send clients to a casting without really understanding the casting brief. But inexperienced actors, almost by definition desperate for work, will often put themselves up for things for which they really aren’t appropriate in terms of looks or age. An actor once wrote to me, when I advertised for a character that had to be physically large, including a photo of their borderline anorexic frame saying, “I can play fat”! Top actors, from top agents, don’t waste their own time or that of prospective employers. If you feel the job’s not right for you a decent interviewer, like a decent director or producer, will sniff this out. 2. Do your research. Most decent actors know exactly what they are up for when they attend a casting. Though some auditions are pretty last minute, the Internet affords them the chance to look up the director, the company and, if it’s established already, the play. They look into the background of the character they’re being seen for, read the play at least once, maybe do some background reading on the director or the production company. Clearly this attitude is transferable to any interview situation. Find out as much as you can about what the job entails, who will be your boss, what’s the record of your prospective new employers in terms of the way they treat their employees? The internet will help here, but it’s better to try and talk, discreetly, to someone in the know. Actors know there’s no such thing as too much background and information. 3. Plan. Okay, clearly the research you do as discussed above is part of preparation. But actors also learn (or are born with!) a facility to pay attention to detail. At drama schools they have punctuality drummed into them, on the basis that if an actor is late for rehearsals or a film shoot nobody else can start work and money (it’s always about money!) is being lost. So find out exactly where the interview is and how long it will take you to get there. Check train and travel times. NEVER get the last train or bus that can get you there on time in case it’s cancelled. If you’re driving leave in plenty of time and check out the parking situation at your destination. Arriving sweaty and out of breath because you had to hunt for a parking space is not a good look for an aspiring actor, or an aspiring anyone! 4. Dress the part. Actors also think about what they look like (no, really, they’re quite vain as a tribe, did you not know?). Seriously, give some thought to what you’re going to wear – a suit and tie maybe smart but not always appropriate. Women, if you’re not used to wearing heels then why risk them on an important interview date? Do you need a haircut or a shave? There are all sorts of statistics out there about how important first impressions are. I can only tell you that from the director’s chair if a person makes a bad impression physically then the rest of the audition they will be playing catch up. 5. Breathe. So you finally get to the interview, hopefully, at least half an hour early. You’re nervous. You really want this job. So breathe! When I was at drama school, I had a wonderful old-school singing teacher. She’d painstakingly take me and my fellow students through various songs we had prepared, and if we became red-faced as we tried to hit a high note or sustain a note of any kind she’d say:“Remember to breathe… Otherwise you’ll die”. A fond memory. But she had a point. We can’t do anything without breath. In moments of tension or nervousness, people stop breathing. Not consciously, but it happens. We even have an expression to indicate over excitement or anticipation or even anxiety – “holding one’s breath”. The irony of this, of course, is that it is in moments of stress, anxiety or nervousness we need to BREATHE MORE! Actors learn not only how to utilise breathing to give them more vocal power, but to make them feel settled, centred and powerful physically. So, take a few moments to just breath naturally, reassure yourself that breath is there for you. It will only cease if you decided to stop it (or if someone else decided to stop it for you!). There are plenty of deep breathing techniques actors employ that you can learn too, to centre and focus. 6. Warm up. So you’ve arrived for the interview, and though you’ve remembered to breathe, you’re still tense. Indeed, actors know that tension can absolutely affect breathing, so that it becomes less efficient, which in turn affects how the voice sounds and even the way we move. Some actors have long and complicated warm up routines, which they go through at home before they set off for their audition. You may, indeed, have seen them doing their stuff on a tube train and thought ‘Why does the loony always sit near me?’ Well, that’s no loony, that’s an actor off to an audition (not that the two are mutually exclusive). You may not have the space or time to do an extensive warm up, and certainly there may not be a place at the interview venue where you can do one. What you can do is just a mental check on areas we always carry tension: The jaw, shoulders, neck, base of the spine and knees.… and anywhere else where youmight normally feel stress or stiffness. Perhaps find space in a corridor or the bathroom, and focus on those physical areas of your body; move that area slightly, massage it if you like –almost “will” it to relax. If you can find a private space, at least have a “shake out”, especially of the arms and shoulders. 7. Speak clearly and dynamically. Nobody teaches us how to talk. Isn’t that extraordinary? We are taught certain life skills from a very early age - how to read, to do maths, even to speak other languages. But no oneteaches us how to speak our own language. We pick it up from our parents, then our siblings, and then our school friends. And of course television and movies. Perhaps a schoolteacher may “correct” a pronunciation or two, but largely we are left to our own devices. So, stop taking words for granted! This is really what I meant at the top of this article when I said don’t be afraid to communicate properly. It’s been my experience that the basic ability to speak clearly – what in the bad old days might have been called elocution – is diminishing in all areas of society. Actors, of course, learn how to speak to maximum affect and the good ones carry that with them into interviews at castings. It’s not rocket science. Don’t mumble, open you mouth when you talk! Don’t have your hand over your mouth. And most importantly, though it seems so obvious. Talk in the direction of the person you want to hear you. And enjoy talking! By that I don’t mean be loquacious or verbose. I mean have a joy of words and your vocabulary. Expand it. Words are magical. Again, if you can find a private space massage your face and your jaw. The latter is notoriously prone to tension, which results in mumbling, or a rather tinny, nasal sound. And work your tongue. It’s a lazy muscle, which has to work very hard when you talk. Wiggle, poke it out of your mouth, stretch it. Definitely do those last exercises in a private space! 8. Think about your body language. Actors are obviously taught to be in control of their bodies. They even adopt different physiques to their own to play certain parts. You should think about how you stand, walk, and present yourself physically. The study and theory of body language has become popular in recent years because psychologists have been able to understand what we “say” through our bodily gestures and facial expressions. As a consequence there are a vast amount of books, literature and information online about it. I think much of it is myth and misconception. That is to say one can read too much into it. You’ve done it yourself, maybe? You’ve heard the cliché that if someone has their arms folded they’re being defensive? Well maybe they’re just more comfortable that way! It’s even more complicated when dealing with eye contact, faces and facial expressions. The confusion lies in the fact it goes both ways: Your own body language can reveal your feelings and meanings to others and other people's body language can reveal their feelings and meanings to you. So the first thing you should do is pay no heed to the body language of the interviewer. This will simply lead you to overthink how the interview is going if they are looking away, looking down, slouching, etc. Focus on you. Walk into the room positively and confidently. Shake hands firmly and make eye contact. Make eye contact with anyone on a panel who asks you a question. Don’t slouch. Don’t sit too close to a table if there is a table. Don’t cover your mouth when you talk. Don’t bite your nails, don’t play with your hair, don’t pick your… you can see where I’m going with this! None of it is rocket science. But remember you want to be as impressive physically as you are intellectually or in terms of your CV. 9. Think about objectives. Obviously your objective is to get the job! I’ll come back to that in a moment. It’s the same for an auditioning actor, of course, but because of the way actors work (rehearse) they are often better equipped to turn an interview situation into a similar scenario. 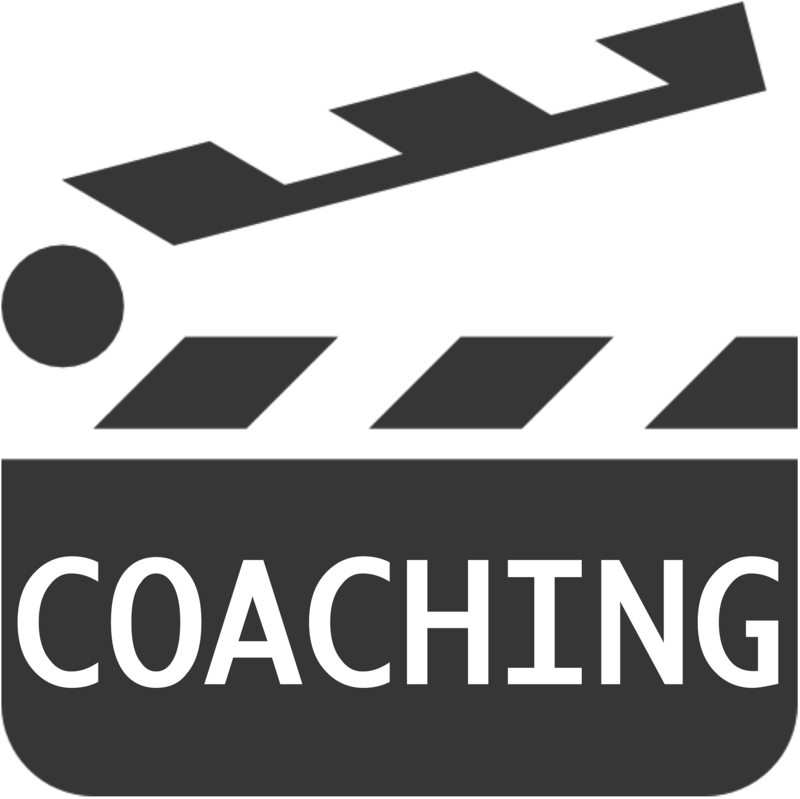 When actors rehearse they often break down a scene into smaller objectives, or things that they perceive their character might want or need as the scene progresses. So you might think about your smaller objectives – show them you’re keen, show them you’re experienced, show them you’re fun (make them laugh, even), find out about what the job entails etc. All these things add up to what actor’s call aSUPER-OBJECTIVE, which focuses on the entire play or film as a whole. A super-objective can direct and connect an actor's choice of objectives from line to line and scene to scene. The super-objective serves as the final goal that a character wishes to achieve within the script. So, at the end of your interview, think about what you want your audience to think – how do you want them to have changed? This will absolutely focus the way you present yourself and use your words. Clearly your ultimate super-objective will be to make them offer you the job! You should also think about OBSTACLES, which actors consider in rehearsal as the things that stop, hinder or pause a character from achieving an individual objective. For example, in The Lord Of The Rings Frodo’s super-objective is that he wants to destroy the ring, but is impeded by all sorts of obstacles – monsters, battles, treacherous friends. Obstacles, of course can get in the way of much simpler individual objectives than saving the entire world! So try and think about what they are before the interview and have ready-made answers. Do you feel you may be too young or inexperienced for the post you want, for example? Pre-empt potential challenges and think about how you might answer a direct question about things like that. 10. Check your attitude. This is always a fine line in an interview scenario. I have auditioned actors who may be right for the part, but have talked themselves out of it simply by their demeanour. It’s particularly difficult for actors, I think, because actors need to exude super-confidence, which can come across as arrogance. A little arrogance can be an attractive quality, but not too much. One of the things I’m looking for when I audition actors is not just if they can play the part (do the job) but also whether I want to spend the next few months with them! Acting jobs tend to be comparatively short in duration, so in your line of work you may be seeking a position for that will go on for years, so the employer will want to know you’re good to be around. Most important of all, don’t be negative. If an actor auditions for me and tells me that the last director they worked with was a nightmare to work with, or they didn’t get on with the rest of the cast, or they hated the play then I’m not about to employ them no matter how good they are. Similarly you should accentuate the positive about any previous employment or people you have worked with. And finally, Rehearse. Rehearse. Rehearse! It goes without saying that actors rehearse. They don’t just wander on to a stage and randomly start moving about and talking at will! Everything is worked out to the smallest detail over weeks, or if you work for one of the publicly subsidized companies, months of rehearsals! Actors will also prepare and rehearse speeches for use in a casting if the director wants to see them do something. As a director, I’m particularly impressed if an actor has clearly rehearsed their piece properly, or even prepared several speeches. If I have sent out speeches or scenes to be prepared prior to the casting as often happens, an actor who proves themselves supremely on top of the material will get my vote on top of someone who is leaving it to chance on the day. So you too can be supremely on top of things if you rehearse beforehand. Actually think about questions you might be asked, or simply things you want to say. Practice your answers. Even write them down and then learn them. Clearly when you’re in the interview they will need to sound spontaneous, and I always think the best interviews should feel like conversations, but this rehearsing will mean you will be clear, succinct (because you will be able to use words economically and not waffle), and you will be communicating dynamically and confidently. Which is what I suggested earlier not enough people do these days. Think about some of the things I have suggested, and if nothing else, you will always give it your best shot – and there’s always another show around the corner!